BASE Coach Sales, part of the Holmeswood Group based near Ormskirk in Lancashire, was the UK importer for the bus and coach products of the European arm of the Brazilian based Marcopolo coachbuilding business, before the South Americans decided to close down its satellite manufacturing operation four years ago. Tata-Hispano’s Zaragoza plant produced the Intea high capacity low height body for the UK on the MAN A91-18.293HOCL chassis powered by a 293bhp engine, as well a single Xerus high floor coach on a VDL SB4000 chassis that is part of Holmeswood’s own fleet. Unfortunately, only eight Inteas had been supplied in right hand drive when the Indian owners decided to pull the plug on the loss making Tata-Hispano operation late last year. Intea customers included Harry Shaw, Impact Travel, Gwynne Price of Trimsaran, Wheelers, Merryhill and AAA Travel of Edinburgh. Holmeswood Director, Colin Aspinall, explained that BASE’s philosophy was to appeal to niches in the market that were not well served by other manufacturers and dealers and to this end they were always keen to refresh their offering. With no midibus product in its current line up and the disappearance from the market of the Mercedes-Benz Vario that has dominated the sector for decades, they sought to introduce a model that would meet the requirements. 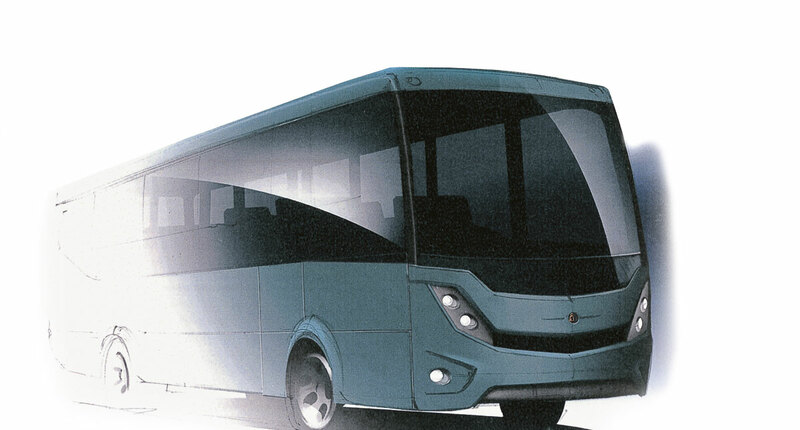 They first looked to the Beulas range which includes the Gianino model that was sold over here as the Stela on an Atego chassis, but as Beulas has no plans to produce it with more than 27 seats this was considered inadequate for a market that has traditionally looked for 29-33 seats. 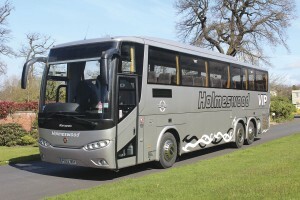 Indcar was not an option because, although Holmeswood are very pleased with the Wing bodied examples they operate, they do not believe the market is ready to accept an Iveco Daily placed product. At this point they linked up with a new company, but one with strong links to the Marcopolo team they knew well. Based in Coimbra, Portugal, Mobi People is headed by Antonio Catarino who previously held a senior position with Marcopolo. Most of the workforce previously worked at the Marcopolo plant. It already has manufacturing and supply arrangements in place for a number of European markets, including the Benelux countries where Patrick Jonckheere’s Mercury Trading organisation handles sales. Mobi People showed them its ideas for a small coach for the UK and after a number of tweaks to the proposal a specification was agreed upon. It is based on the MAN TGL 10-180 4x2BL Euro6 chassis, which features a front mounted 180bhp/132kW MAN D0834-LFL67 engine. Peak power is achieved at 2,300rpm and the green band is from 1,620-1,800rpm. Maximum torque is 700Nm. The gearbox is the ZF 6AS800-OD MAN TipMatic automated manual transmission which is derived from the ZF AS-Tronic. It is a 10-tonne capacity design with a maximum permissible load on the VOK-05 dropped front axle of 4,000kg and 6,800kg on the rear HY-0925 hypoid unit, which has ECAS air suspension and a ratio of 3.70:1. It is mounted on 17.5-inch six-hole disc wheel rims with 235/75R17.5 tyres on both axles. Steering is hydraulically powered and the standard tank capacities on the chassis as supplied by MAN are 150-litres (diesel) and ten-litres (AdBlue). The braking system includes the MAN BrakeMatic electronic braking system, ABS, ASR, the ESP electronic stability programme, front and rear discs and an air dryer. It has two 12V, 88Ah batteries and a 28V, 80A, 2240W alternator. MAN’s standard instrument display includes a Conti digital tachograph, a brake lining wear display, the MAN Tronic on board computer, a switchable electronic reverse gear selection warning system and a malfunction display covering the coolant, windscreen washer, engine oil, steering oil and intake vacuum. To be known as the Midi-Explorer, the coach is 8.86m long, 2.35m wide and 3.01m high with a wheelbase of 4.85m, a 1.47m front overhang and a 2.54m rear overhang. It will offer either 29 or 33 reclining seats along with bronze tinted double glazed side and rear windows and Diavia Madrid 15.5kW air conditioning as standard. Luggage space is a respectable 3.2 cubic metres which is more than was generally offered on a Vario, with access through a manual lift up locker on each side and by means of a manual rear luggage locker door. A three-point belted courier seat mounted on the raised forward section to the left of the engine can be specified if required. 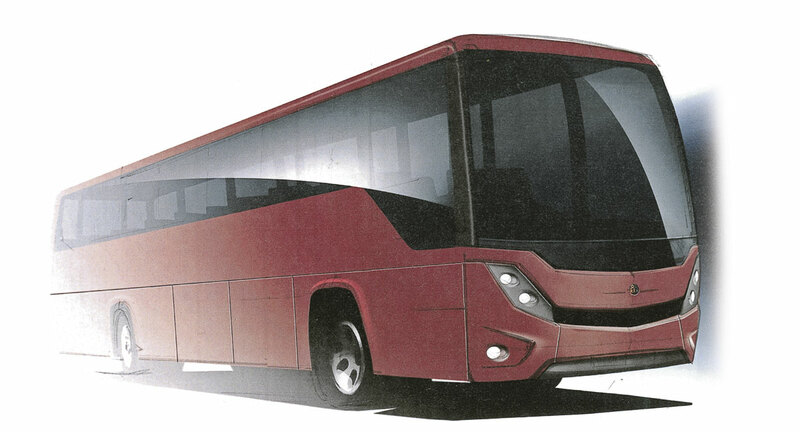 From the artist’s impression, the coach looks to be attractive with a stylish frontal aspect, a plug passenger door immediately to the rear of the front axle, and a predominantly straight window line with a slight drop at the forward edge and a more pronounced upward rounded sweep at the rear of each side. Construction is of carbon steel with one piece stretched galvanised steel plate side panels and reinforced fibre glass roof, front and rear sections. Other aspects of the interior include convection heating, modular racks with passenger service units, an audio/CD system, side window curtains, manual windscreen and driver’s window blinds, electrically controlled heated rear view mirrors and two roof hatches. By locating the manually operated emergency exit at the rear of the nearside, the possibility of retrofitting a wheelchair lift at a later stage has been incorporated on all vehicles, though you can specify one from the outset if you wish. Another possibility, that may appeal to operators in the Channel Islands, is that the coach could be built to an overall width of 2.3m if sufficient were ordered. A two year manufacturer’s body warranty is standard. The net price is interesting because at £119,950 plus VAT it is less than was being charged for most of the final Vario based minicoaches. Mark Aspinall commented, ‘With the death of the Vario, we think the TGL will particularly appeal to existing MAN operators who already have relationships with their dealer network.’ He believes its appeal will extend far beyond this because of the combination of specification, capacity and price that it will deliver. MAN has already homologated the 10-tonne TGL chassis to M3 standard and it is now working with BASE to homologate the 12-tonne model. ‘It would enable us to offer 39-41 seats in the fullness of time,’ said Mark. Certification of the Midi-Explorer will be under European Whole Vehicle Type Approval. While at the plant discussing what was to become the Midi-Explorer, the Aspinalls were shown the concept for another project Mobi People was working on. This was a full length low height (3.3m) body for mounting on an MAN RR8 chassis which immediately interested them as a potential replacement for the Intea. 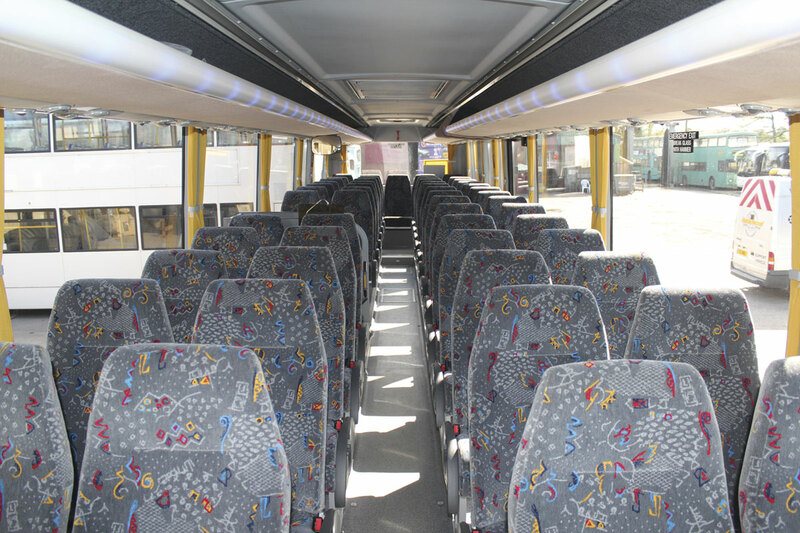 Mobi People’s original idea was to offer 71 seats within an overall length of 12.7m but BASE thought the additional length would be a barrier to sales and working with the coachbuilder came up with a 12.3m alternative that seated 70 and it is this that is being imported. The model is seen as complimentary to the Beulas range. Once again the artist’s impression, which is computer generated from the CAD designs and should therefore be very accurate, shows attractive modern styling with a similar familial aspect to that employed on the Midi-Explorer. The body frame is of welded steel tube with reinforced fibreglass roof panelling and moulded parts including wheelarch housings, one piece stretched galvanised steel main side panels, hinged aluminium side locker flaps providing access to the underfloor luggage hold and aluminium skirt panels. The rear window and bronze tinted double glazed side windows are bonded in place while the one piece front windscreen is rubber mounted. Glazing in the pneumatically operated front and nearside centre door units is also bonded double glazed. All glass for the Explorer 70 is already held in the UK in readiness. It will be equipped as standard with 70 Prime Buckingham 3+2 seats mounted on rails though 57 in a 2+2 arrangement can be offered as an alternative. These will be installed in the UK. The driver’s seat will be air suspended. A Hispacold 22kW air conditioning system is standard with individual discharge nozzles to each seat. A convection system runs along each side of the saloon. Roof lighting and individual reading lamps within the racks are LEDs (as are the rear exterior lights). There are also loudspeakers within the racks. The MAN chassis features the 6.871-litre Euro6 MAN D0836-LOH72 six-cylinder engine which develops 290hp/213kW at 2,300rpm and peak torque of 1,100Nm at 1,200-1,750rpm. The engine is matched to a DNR push button controlled ZF 6AP1200 EcoLife six-speed fully automatic transmission with integrated retarder, with bus stop brake and oil change intervals of 180,000km using the specified fully synthetic oil. Independent front suspension with a stabiliser is featured while the differential in the rear axle has a 5.67:1 ratio. The rear axle also features a stabiliser, while there is a kneeling function at the front. ZF 8098 Servocom variable power steering is employed and the steering column is adjustable. Braking includes the ESP electronic stability programme, and ABS and TCS incorporated within the EBS electronic braking system. Tyres are Continental 295/80R22.5s on 22.5 x 8.25 ten-hole steel disc wheel rims. Maximum design weights on what is designed as a 19.5-tonne chassis are 7,100kg on the front and 12,600kg on the rear, and with any luck it may be possible to fully utilise this in the not too distant future if recent proposals come to fruition. Mark Aspinall recognises that 75% of Inteas were sold from stock because operators won a contract and then looked around for something with which to undertake it, and it is therefore the intention to build a limited number of Explorer 70s for stock, one of which may be Euro5 engined, though main production will be Euro6. 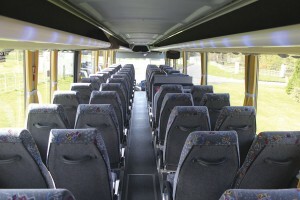 As it is a 70-seater, it will be certified under IVA regulations. The first chassis for both models have already been ordered, those for the TGL being on a shorter lead time. It is a very price sensitive area of the market and with prices starting from £159,000, including 70 seats, air conditioning and double glazing for a Euro6 powered coach, the Explorer 70 will be competitive with other market options, wherever they are built in the world. No orders have yet been placed for either the Explorer 70 or the Midi-Explorer but it is hoped that the first can be announced soon. Significantly, just over a half of the Marcopolos sold in the UK were low height coaches. Mobi People are also working on a number of other vehicles having recently supplied MAN based buses to Bermuda. Perhaps their most unusual current project is the production of two Cabriolet style convertible open top minibuses based on the hybrid version of the Mitsubishi Canter. It will serve a tourist attraction in Portugal, the two main sections of which are 500m apart up a hill. The electrical systems, which are mounted between the bell housing and the gearbox, recharge on the way down the hill. Mark Aspinall stressed that there are no plans to bring this product to the UK. It was back in 2009 that Marcopolo advised BASE of its plans to shut the Coimbra factory and at that time there was quite a large amount of stock either in build or built or for which chassis has been earmarked. The process of completing the orders continued gradually and it took quite a while to finish the last vehicles. Given the amount of time that has elapsed since the closure of Marcopolo was announced, I was somewhat surprised to learn that the very last right hand drive Marcopolo for the UK entered service as recently as earlier this year. It was a 13m tri-axle Iveco Eurorider with 380hp Cursor 10 engine, Voith automatic gearbox and Viaggio III 370 coachwork to executive specification seating 57, with a centre toilet. It is being operated from the Congleton depot of the Bostocks subsidiary. In common with a small number of other coaches operated it carries a silver livery rather than the normal metallic green. The unladen weight is 15,600kg. Used predominantly on the company’s own tours as well as for cruise ship feeder work at present, they find the specification is a useful one that gives three bites at the cherry. Whether the call is for 57 seats, an executive or a wheelchair equipped coach, the 13m Viaggio III 370 fits the bill, or it will do when the new PLS side lift is installed, as it was scheduled to be during the week following my visit. The 13m overall length and the rear steering feature combine to make the vehicle handle much like a shorter coach, in part because of the much shorter wheelbase than a two axle model of a similar length. A 13.7m Aura, a Scania Berkhof and a longer Volvo have also been operated and suffered regularly from damage to the front and rear bumpers. 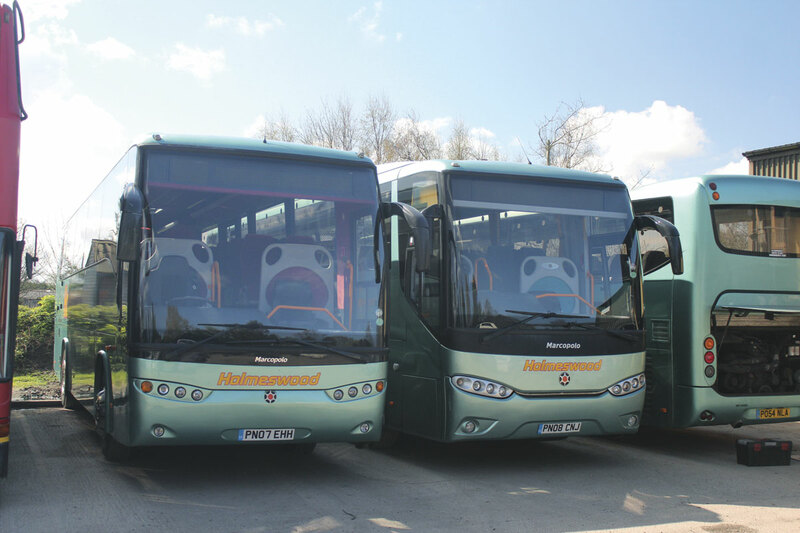 Holmeswood get on well with their two and three axle EuroRiders operating a number of them within a fleet that now has 120 licences. The company bought three tri-axle Iveco chassis with Voith automatic gearboxes intending to have all three bodied by Marcopolo but in the event only the first and the coach that has just entered service were bodied in Portugal, the other chassis was diverted to Beulas. There is also a 14.6m tri-axle Eurorider with ZF AS-Tronic automated transmission that carries the super high floor Glory style of bodywork with a front low floor lounge area that enables wheelchair access. 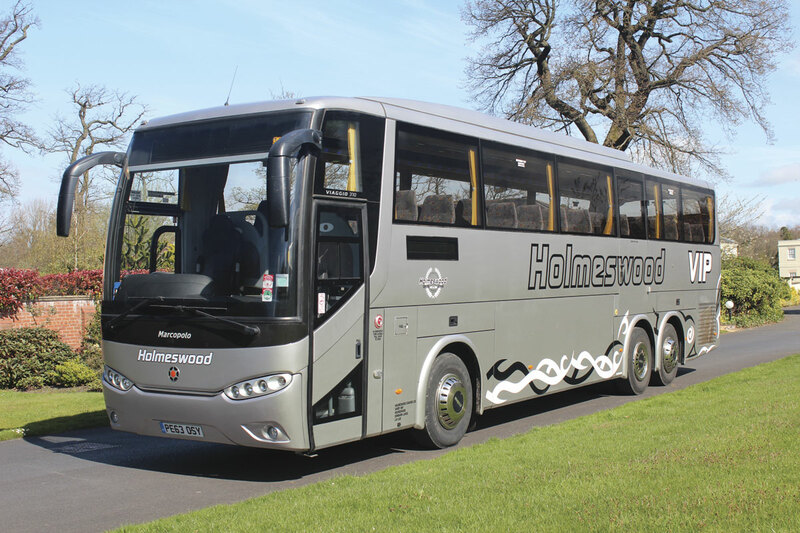 Holmeswood have been unusual among UK operators in equipping most of their coaches with wheelchair lifts, or at least the provision for them to be fitted, and though the PLS unit had yet to be installed, the door was already in place over the drive axle. A development about which the Aspinalls are quite excited is the new Koller wheelchair restraint system which involves studs mounted within the floor. They are confident it will increase the wheelchair carrying capacity of coaches equipped with it, and it is particularly quick and easy to use. Colin explained that the engine and transmission options in the EuroRider were either the Cursor 8 unit in conjunction with the ZF Ecomat automatic gearbox or the Cursor 10 at 450hp with the ZF AS-Tronic automated manual or at 380hp with a fully automatic Voith. 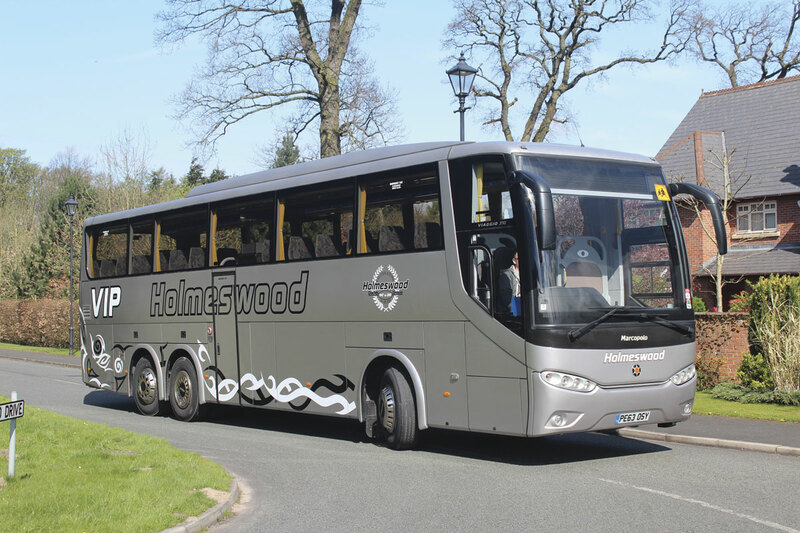 Holmeswood have some two-axle Euroriders with the four speed Voith auto that Colin particularly likes to drive. Francis Aspinall believes that the Viaggio III was the best model Marcopolo ever produced with many features that make it very practical and functional to operate. He believes this reflects the considerable input that they had in refining the design based on their operational experience and that of their customers. The fleet includes 38 Marcopolo bodied coaches at present, the eldest of them a 1996 Dennis Javelin with the early Explorer type styling that was originally acquired as a part exchange and retained so that the BASE team would be able to identify parts on models supplied before they took on the brand. Converted to a 68 seater and with a ZF automatic gearbox installed, Francis Aspinall drives it every day on the 731 service to Penwortham. A midi version of the Cygnus is available from the Beulas stable on the MAN 14.290 chassis. 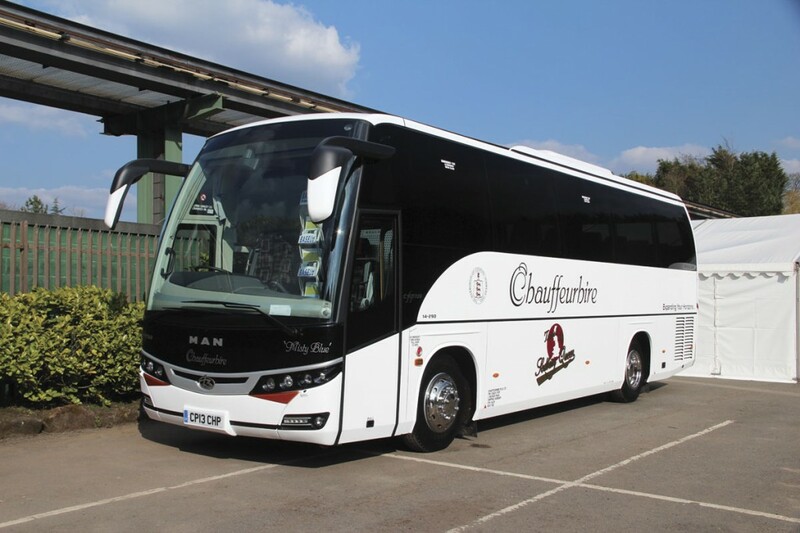 This Chauffeurhire coach was seen at Alton Tours during last year’s UK Coach Rally. 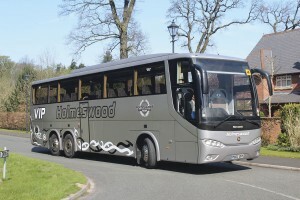 The Holmeswood fleets operate 32 Beulas bodied coaches of various types and the relationship with the company remains very strong. 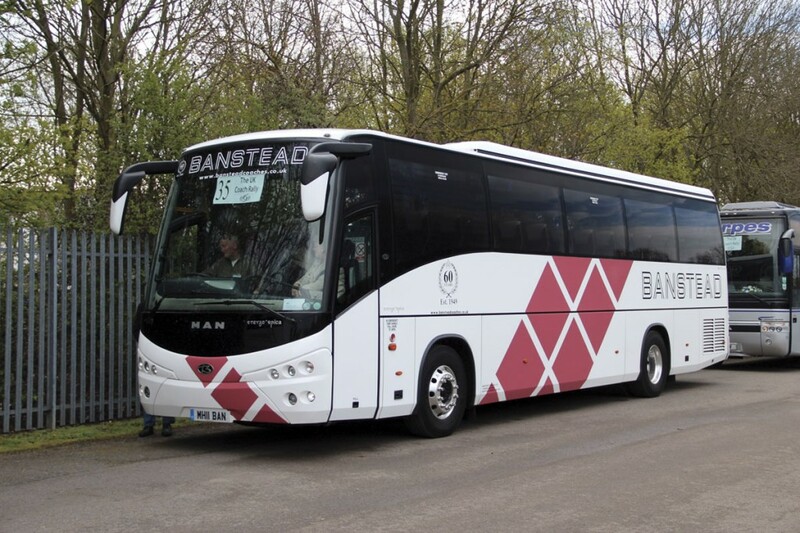 The 2013 season saw BASE bring in 12 Beulas bodied coaches, all of them mounted on MAN chassis. 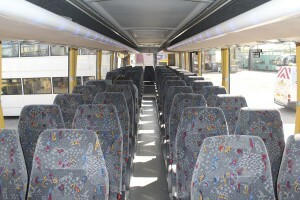 Most customers opted for the Spica design of standard height coach. Scheduled for delivery in the near future are Beulas bodied coaches on a variety of MAN chassis. Holmeswood’s own fleet will benefit from a 14.6m Glory on a 480hp MAN RR4 chassis with ZF AS-Tronic transmission, with another likely later in the year. These seat 76 and are wheelchair accessible. Scottish operator, Timberbush, are taking a pair of Euro6 powered MAN A67s with 10.3m Midi Spica bodies seating 41, while LL Travel are to take a shortened Euro5 MAN RR8 with automatic transmission and 293hp MAN engine for a 43-seat Spica. In the south west Tilleys are to take a 12.2m Spica on an MAN RR8 with a 360hp Euro6 engine and automatic gearbox. Runcorn based Anthonys are shortly to take their second wheelchair accessible MAN Beulas product, a 12.72m RR8 with Spica body and a Euro6 360hp engine. 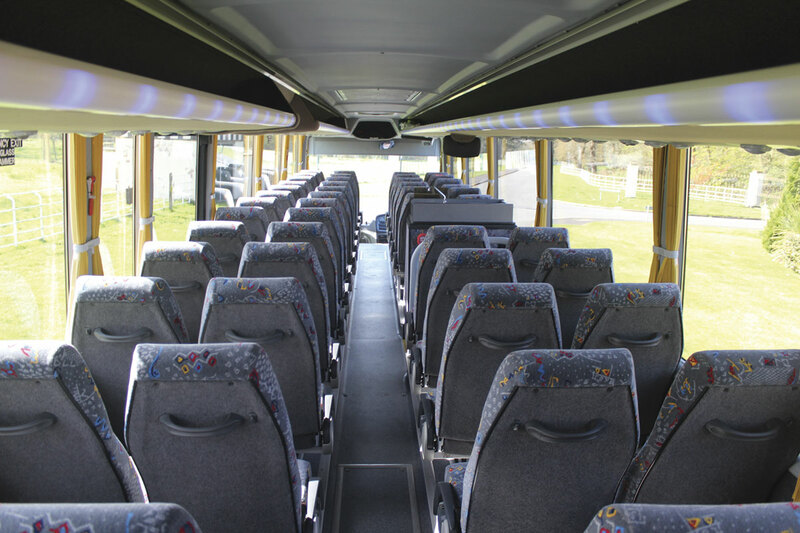 The group’s Leyland, Lancashire, based engineering operation has been very active in the adaptation of pre-owned double deckers in recent years, undertaking conversions of all kinds with dual to single door transformations particularly popular. It is also very involved in undertaking the fitting of belted seats, which becomes more complicated on post 2002 vehicles which require successful pull test results to be submitted in order to achieve homologation. Colin commented, ‘It’s a big job but we can now fit seats and seatbelts in post 2002 double deckers. Most of those we’ve done so far have been Alexander ALX400 bodies but we’re just about to do a Plaxton President. We can get 72/74 seats in one. Apart from the double deckers equipped with belts it has also dealt with single deckers, among them large numbers of Optare Solos, with Plaxton Primos another option. The ability to undertake private hire with them makes for a more flexible vehicle. 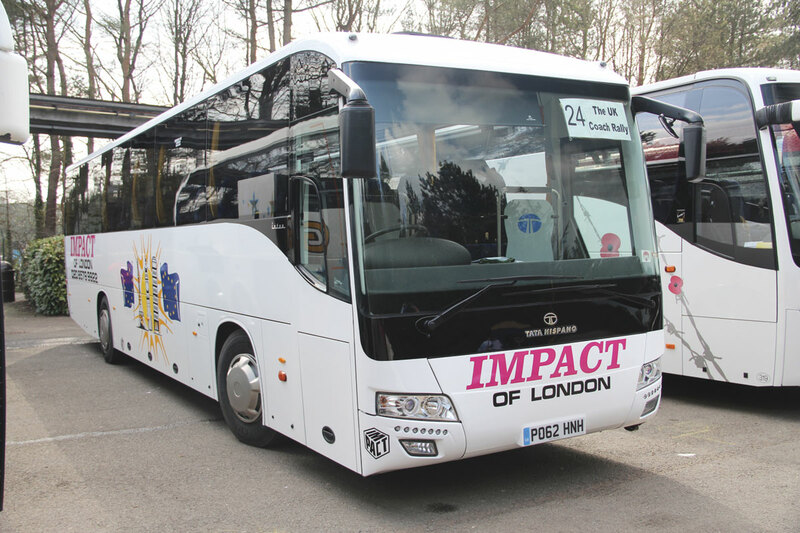 Demand for 70 seater coach conversions has been such that it has been difficult to keep up. The impending launch of two new options, both of which fit their niches well and offer very convincing packages, is something to watch, while the ability of the Beulas plant to offer a variety of bespoke options at a time when other builders are increasingly reluctant to do so is also noteworthy. The two new models will be accompanied by a Beulas product at the NEC show.